Lugano (1970), Lugano SUI, rd 3, Mar-?? 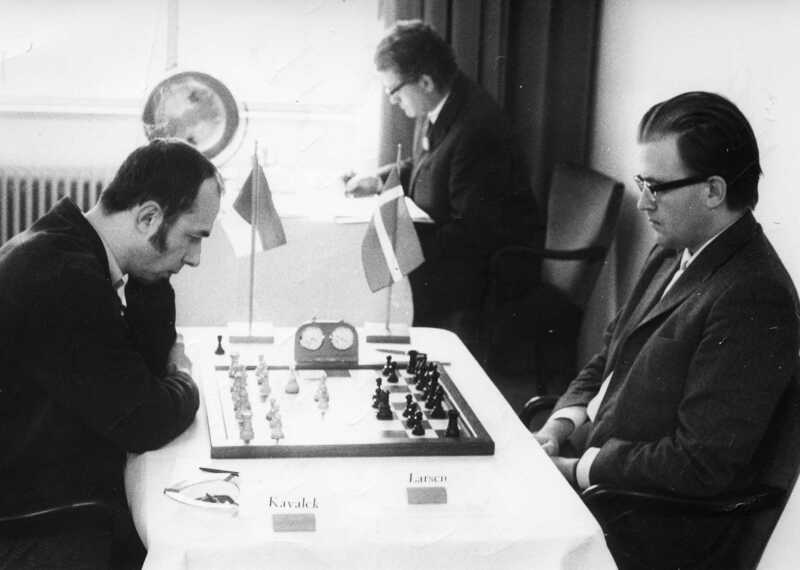 whiteshark: "In a double-round tournament in 1970 in Lugano, Switzerland, Larsen destroyed me in both games and on the back of the picture from our first game he wrote: <'With best wishes to Lubos, who allowed me twice to believe in chess beauty'>." Mar-22-13 fokers13: Why not 15.Bf4 with the idea of Rd1 and shuffling the King over to the queenside? It might seem a bit weird but it should be better than the text. Clock, board, flags, name tags, cautious miens, even hefty sideburns are seen in the playing hall today. The ashtray, however, will not reappear.